If you’re about to upgrade a Single-Node cDOT cluster, or perhaps your “system configuration backup upload” has stopped working for whatever reason (perhaps you need to schedule in a mgwd restart or - better - node reboot), and you want to obtain the latest System Configuration Backup, keep reading! N.B. 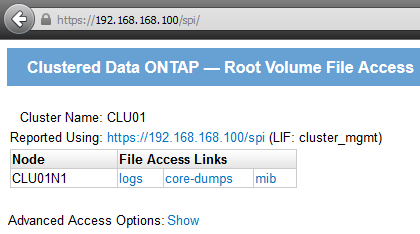 Here we have a single-node cluster (running 8.2.2P1) called CLU01, with a node called CLU01N1. job show -name "CLUSTER BACKUP ONDEMAND"
N.B. : Wait for the job to finish. Once the backup is complete the “system configuration backup show” will display the backup. N.B. 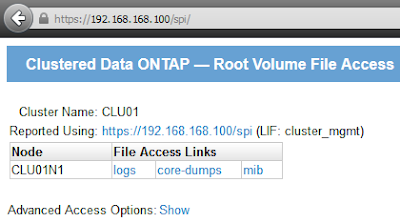 : This removes the file from the /mroot/etc/log.